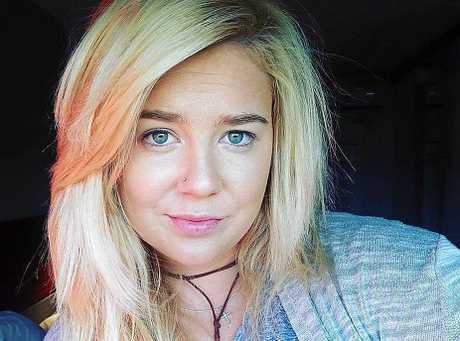 A COLOMBIAN judge has challenged a six-year jail plea deal between Cassie Sainsbury's lawyers and prosecutors, disputing her story that she was threatened. Sainsbury's lawyers and prosecutors say they negotiated a sentence of 72 months or six years' jail and a fine of 450 minimum monthly wages. She had faced a maximum of 30 years and minimum of 21 years and four months but the plea deal they agreed on reduced it to the minimum available. Judge Leon, who is hearing the case, told the Colombian court: "I have found a very complex development with this plea bargain." It was therefore necessary to set a new sentencing date, he said. Judge Leon said he needed more time to re-evaluate the terms of the plea bargain in light of new claims by Sainsbury that she was intimidated into undertaking the smuggling operation. The next hearing will be on August 9. 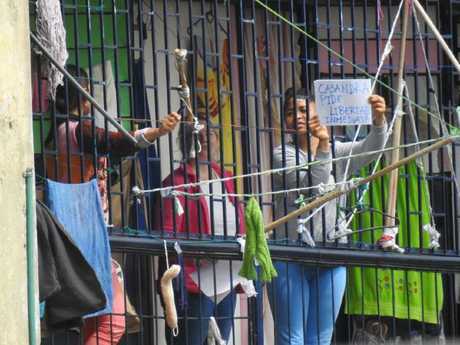 The plea deal her legal team was trying for was struck under article 56 of the Colombian Criminal Code dealing with defendants in "circumstances of marginality, ignorance and extreme poverty". There has been no mention in court of Sainsbury offering information about who supplied the drugs. Sainsbury has told the court: "I didn't want to take a package with me. I was told my family and partner would be killed." But the Colombian judge has challenged this claim, and called into question the validity of the plea deal. Speaking directly to Cassie he asked why she had accepted the prosecutor's statement she was smuggling the drugs with intent. Cassie said she agreed because she couldn't change the fact she had the drugs but that she never wanted to smuggle anything. The prosecutor reacted angrily when Cassie claimed she was threatened. "I am surprised at this because one thing appears in the documents and then the accused says something else," the prosecutor said in Spanish. "If she continues saying that she signed the pre-agreement knowing she was at threat and she can prove this to the court this must be done by the deed defence." Her lawyer Orlando Herran said she had no proof of the threat so had agreed to the deal. He described her as desperate from debts incurred at her failed gym and having come to Bogota on the understanding she was delivering paperwork and at the last moment realised it was drugs. When she refused she was threatened, he said. 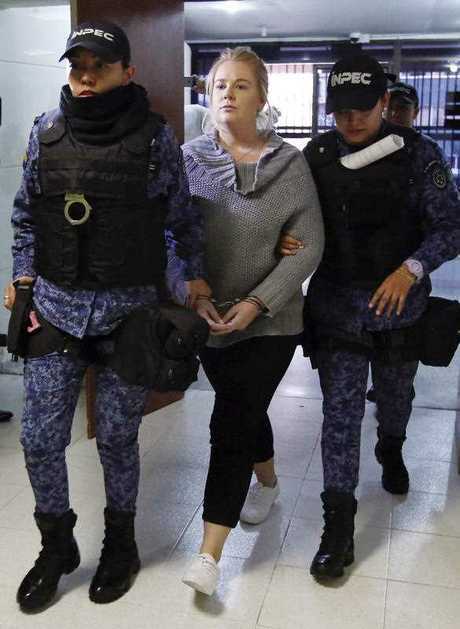 Sainsbury is facing a Bogotá court in her first public appearance since her April 12 arrest. She is being supported by her mother Lisa Evans, fiance Scott Broadbridge and two other unidentified women. She was bundled from the back of a prison van before being escorted inside the criminal court by 10 mostly female prison guards. She did not speak to waiting media. The prosecutor first read out a lengthy charge sheet, with pauses for a translator to explain to the packed court. 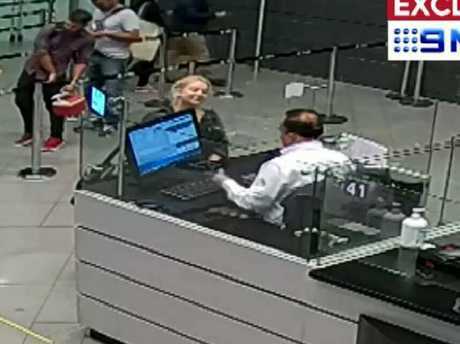 It detailed how Sainsbury was first approached by police who asked to search her green, wheeled bag as she tried to leave El Dorado Airport at 10.15pm on April 12. She agreed and police found clothes in her 10.3kg bag as well as 18 black plastic wrapped packages. The court heard they were "covered with a strange dusty material" which a narco test revealed was cocaine. She was arrested at 11.15pm, read her rights and offered access to legal counsel. Cassie's mother Lisa occasionally teared up as the charges were read and at one point reached over and touched Scott Broadbridge's leg, asking if he was ok. The wording of the charge refers to drug smuggling being "against the public health". The former South Australian fitness instructor will serve a maximum of six years in El Buen Pastor prison if the judge hearing her case today agrees to terms put forward by her lawyer and prosecutors. Details of the plea bargain emerged as sources confirmed Sainsbury's family had struck another lucrative TV deal to tell their side of her story. The sources claimed Cassie's mother Lisa Evans was in Bogota with a 60 Minutes crew in an exclusive arrangement for which she is understood to have been paid a six-figure sum. Nine on Wednesday said it had "no current plans to speak further with Lisa Evans" and that no paid deals were in place. News Corp understands Nine has also been negotiating with Cassie's fiance Scott Broadbridge, who was due to travel to Bogota for the court hearing, to include him in the broadcast deal. The network disputes this account, going as far as to claim they have never been in talks with Broadbridge, but if he were to sign with Nine, it would put an end to one of the more colourful facets of the Sainsbury story - that of the warring TV exclusives between her family and fiance. 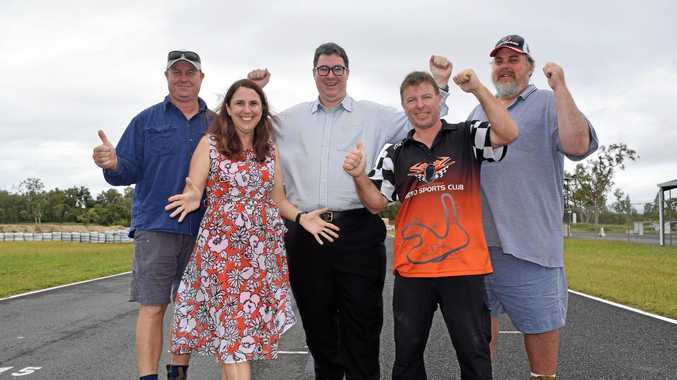 In May, Broadbridge was paid by the Seven Network's Sunday Night to tell his story about Sainsbury, a deal which she told News Corp Australia she agreed to. Her mother and sister Khala signed a separate contract with Nine, which Sainsbury wasn't aware of until informed by News Corp.
"It's my story. They need to get permission from me to sell my story," she said. Nine won the ratings that Sunday night, when it also aired revelations Sainsbury worked as a prostitute in Sydney before her ill-fated trip to South America. Authorities in Bogota yesterday confirmed the deal struck between Sainsbury's lawyer, Orlando Herran, and prosecutors. With good behaviour, Sainsbury could be out of jail in three years. 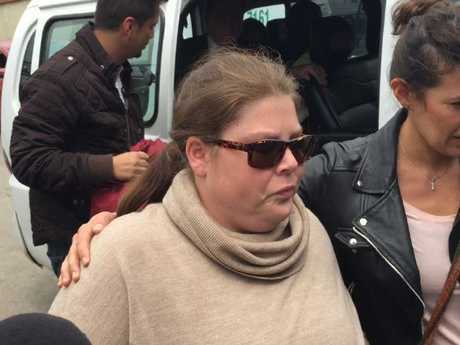 Her sister Khala Sainsbury told News Corp she was "horrified" that those who supplied the drugs found in her sister's luggage may seek retribution if she was forced to reveal their identities. "She (Cassie) got told to be quiet otherwise they'd come after her family," she said. "My ultimate fear is bringing her home in a body bag. "I'm worried about my little sister. I never thought anything like this would happen in a million years. "I love her. I'll always love her; she's my sister." However, Ms Sainsbury said a plea deal was the best outcome for her sister. "It's the best one possible," she said. "It still comes down to the judge, whether the plea deal goes ahead." Ms Sainsbury also spoke of her concerns for her sister's future once she is released, saying she would likely have to move overseas to escape the stigma associated with her conviction. "She'll always be labelled as Cocaine Cassie," she said. Sainsbury had kept authorities waiting until a day before her first court appearance before agreeing to the deal. As recently as last week she continued to proclaim her innocence, despite legal advice she faced a hefty sentence of more than 20 years in prison if she were to try to fight the charges. 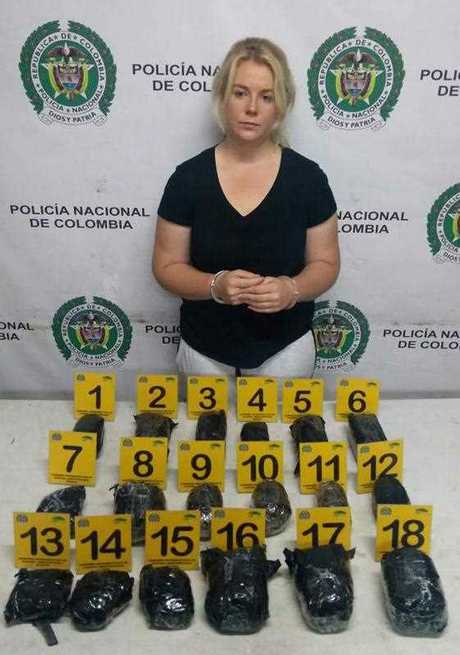 Sainsbury was arrested at Bogota's El Dorado International Airport on April 12 with 5.8kg of cocaine packed among headphones, wrapped in black plastic, in her luggage. She was flying to Australia via London on a last-minute ticket and was detained after the US Drug Enforcement Agency warned narcotics officers at the airport she may have been carrying drugs. Cassie Sainsbury: TV revelations could hurt case: Partner Scott Broadbridge appears to have conceded his bride-to-be will confess to her part in drugs syndicate. She first told authorities she had no knowledge of the drugs, saying she had bought the headphones at a good price to give as gifts at her upcoming February wedding. 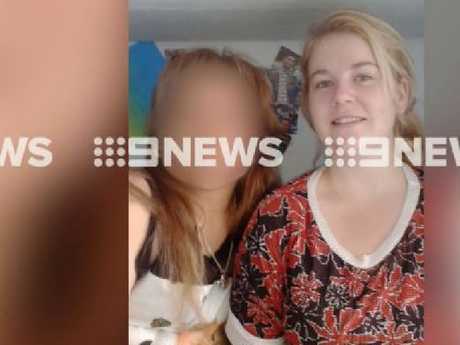 Later, she claimed she had agreed to work as a money launderer after criminals threatened her family in South Australia. Last week it was revealed authorities here were ready to withdraw their offer of a lighter sentence in return for her co-operating with their investigation and identifying the supplier of the drugs.